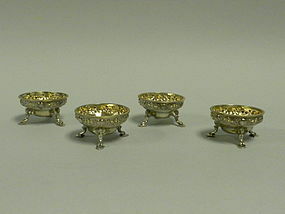 A set of four antique English gilded sterling silver open salt cellars on feet. This set is decorates with a floral repose border and the feet are formed from figural mythological nudes with wings. Each cellar is finished with a finely beaded trim, made in London, England. 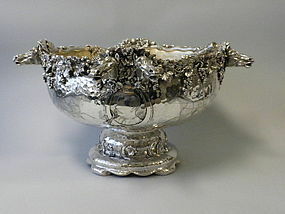 Dated 1873, fully hallmarked, lovely finish, excellent condition. The cellars stand 1 1/2" in height and measure 2 1/2" in diameter. 6.8 troy ounces total. 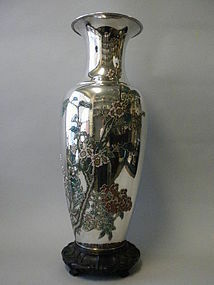 A lovely pair of English Sterling Silver Vases decorated with pierced open work collars at the mouths of the vases. Made in Sheffield, England. Dated 1923. Fully Hallmarked. Excellent Condition. Nice Patina. Weighted Bases. Height- 9 ¾ inches. Width of collar- 3 ¾ inches. 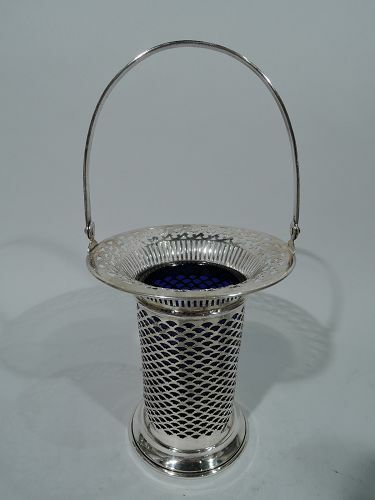 Antique American Edwardian Pierced Sterling Silver Basket Edwardian sterling silver basket. 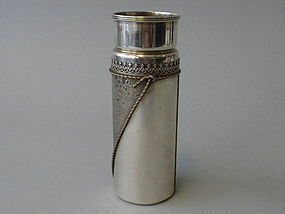 Made by Meriden Britannia (later part of International) in Meriden, Conn. Cylindrical with raised and spread foot, flared rim, and c-scroll swing handle. 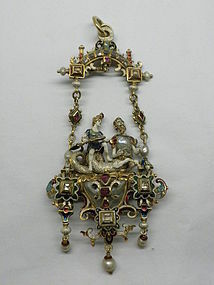 Pierced ornament including fish scale (body) lines and rinceaux (rim). 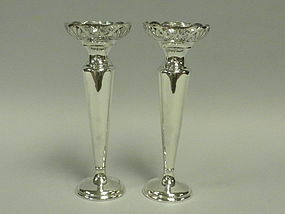 Handle reeded. Cobalt glass liner. 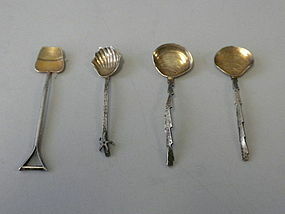 Hallmarked. Very good condition. This is quite striking. 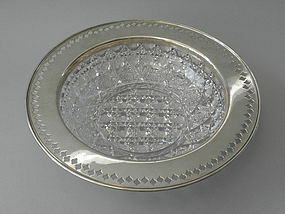 It is a cut glass circular bowl with a sterling rim. 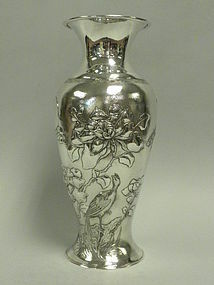 The sterling silver rim has a stylized spade decoration. 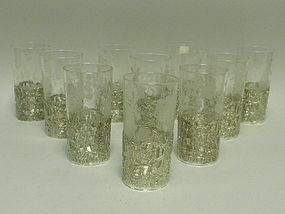 The cut glass has a beehive decoration on the bottom and star decoration around the perimeter. A Russian Cut. It measures 11 1/2" in diameter. 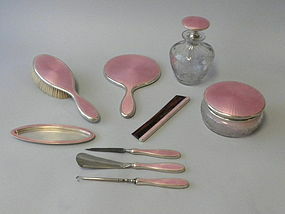 It is marked Tiffany & Co. M makers Sterling Silver Circa 1910. the condition of the glass and silver is excellent, the patina is fine.